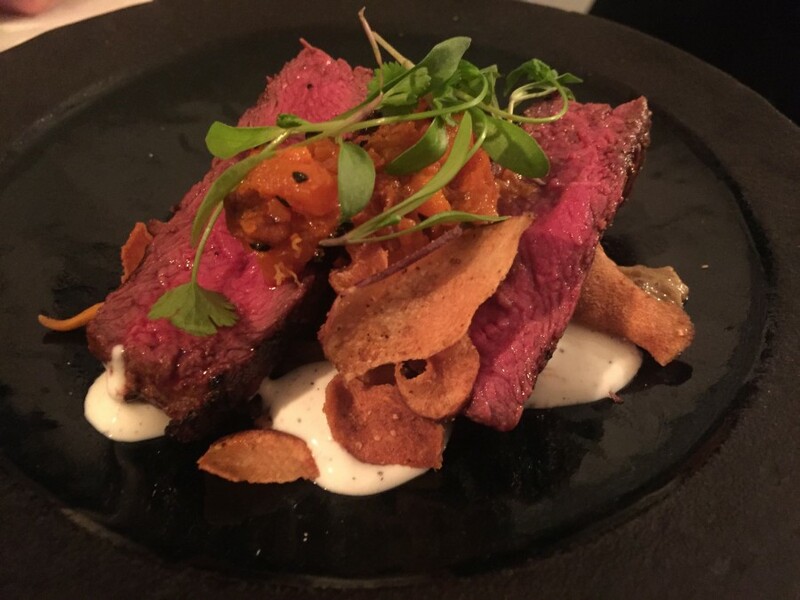 Kricket is an Indian small plate restaurant and is the brainchild of two handsome chaps; chef Will Bowlby and front of house Rik Campbell. 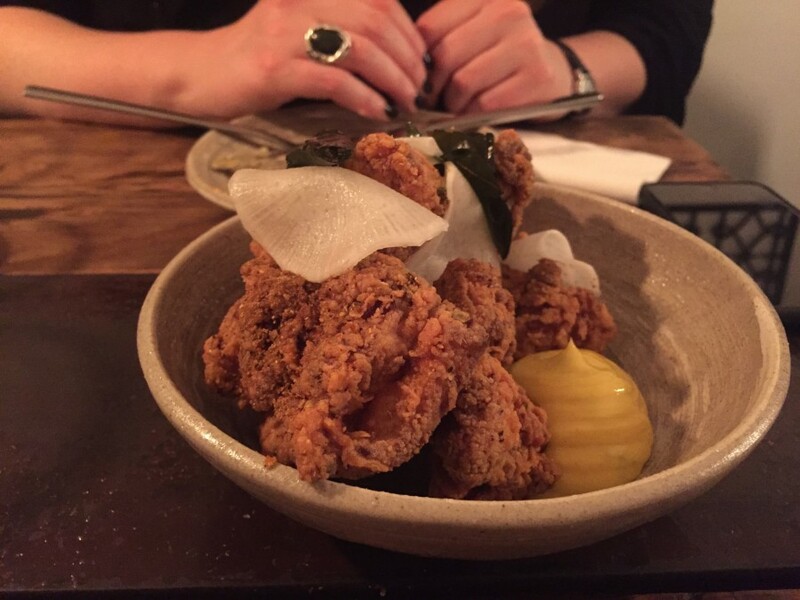 It’s in a newish part of Brixton called Pop, a collection of sea containers with bars, sit down restaurants and street food a plenty. Being a shipping container, there are hardly any seats and it’s all shared on two long benches. WARNING: chatting to your neighbours is inevitable. The potential for it to be awkward and uncomfortable is massive yet the whole thing feels relaxed and charming. The menu is small enough that you can easily order the lot, which we very nearly did. 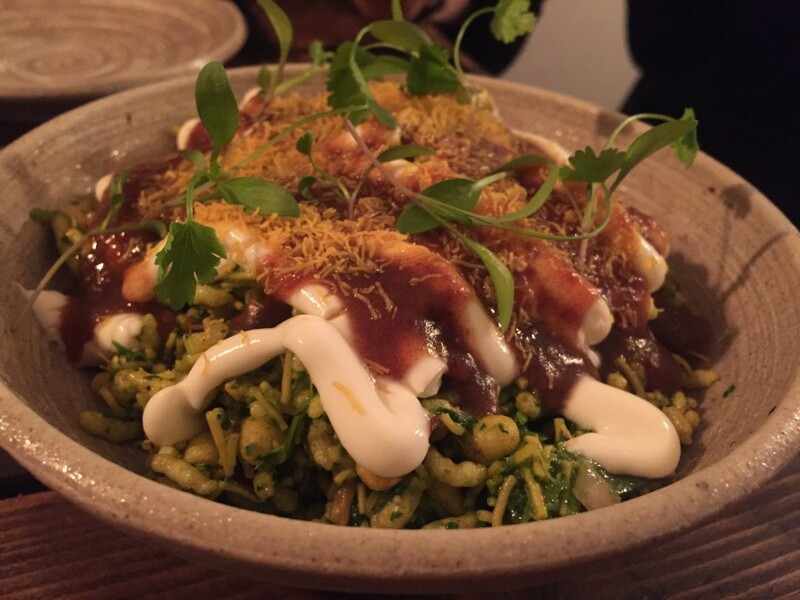 Dishes like Bhel puri (£4), with its myriad of textures, and Keralan fried chicken (£7) – allow me to assure you that Indian fried chicken is quite marvellous – show that the kitchen knew exactly what they were doing. 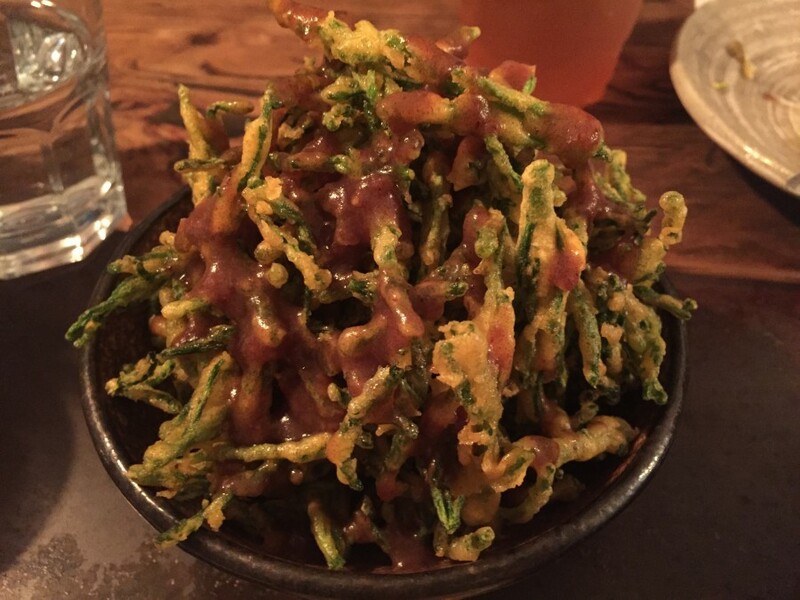 Samphire pakoras (£5), again something so simple, had a flavour so complex yet it was just a bit of deep fried samphire. 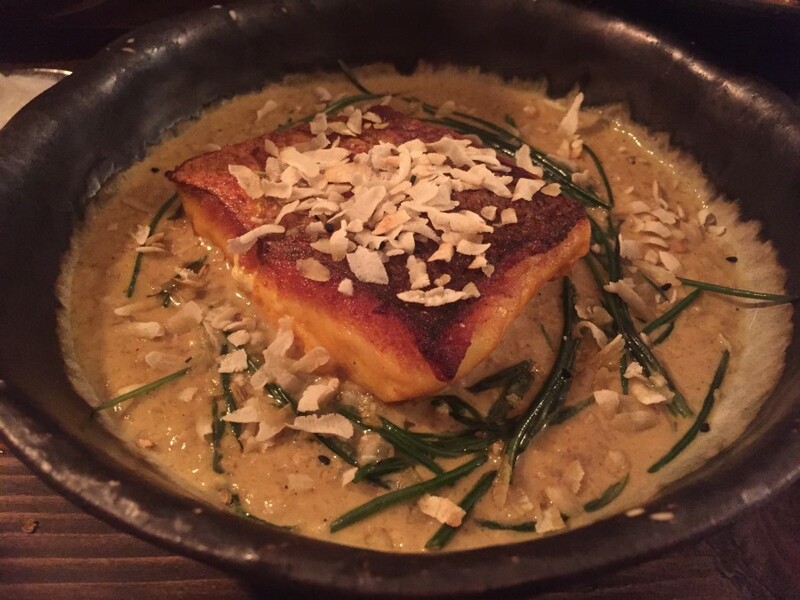 Hake (£9) came surrounded by a light malai sauce, the flavour being good enough to scrape with the spoon. 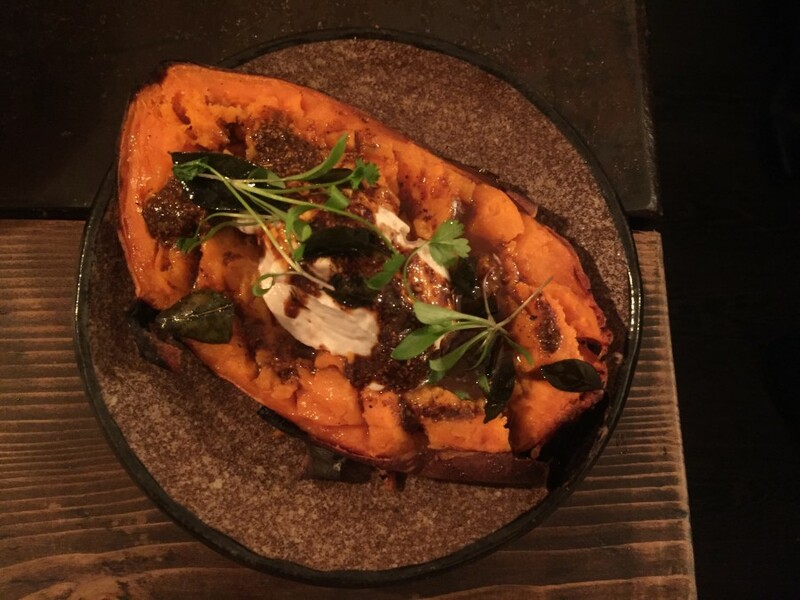 Grilled sweet potato (£5) was soft and fluffy, however we were told not to eat the blackened skin which seemed a shame – I love a good crunchy sweet potato skin a la Blacklock. 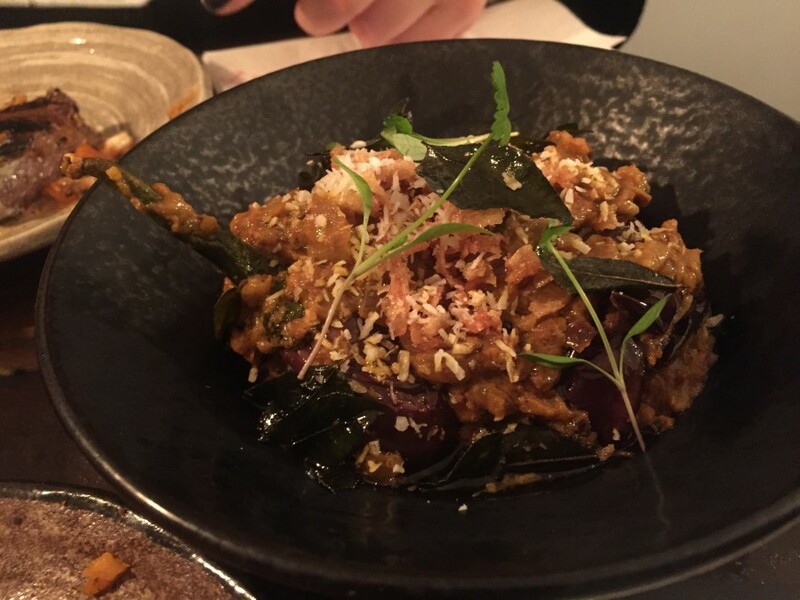 Hyderabad baby aubergines (£4) showcased more exquisite spicing. I haven’t had Indian food like it before. A small rump of venison (£10) was all the right colours; dark brown and bright pink – no sign of the dreaded sous vide machine here. 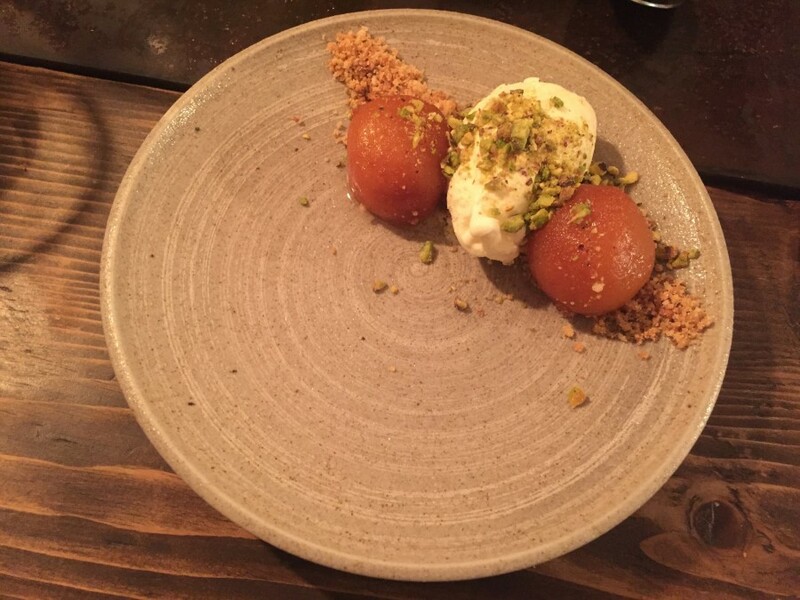 For pud, only one option, gulab jamum (£5) – a milk-solids based dessert (whatever that is!) popular in India. Two balls of moist cake-like dough, with a scoop of clotted cream ice cream and crumbled pistachios made for the perfect dessert – and if you’re only going to offer one it had better be. Kricket was quite simply superb. 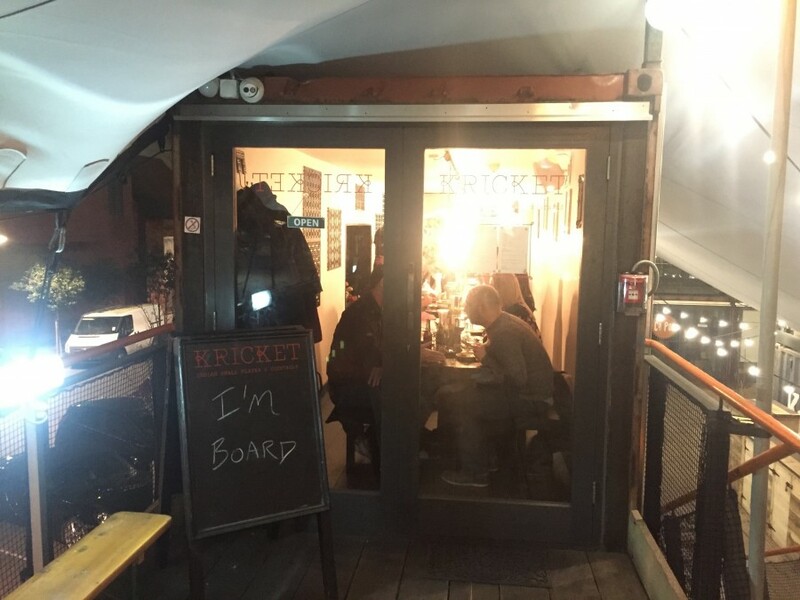 And when the best meal you’ve had in ages happens to be Indian food by an English bloke in a shipping container in Brixton, it’s a sign how magnificent the food offering in our city still is. We dined as guests of the restaurant.